ESIX: Could you please introduce the members of the team for the ones that do not know you yet? Rampy: Hi we're Spacestation Gaming the other players are : Redeemer is our specialist operator player, ThinkingNade is our flex player, Chala is our hard breacher, and Bosco is an entry fragger with me. ESIX: You started with Spacestation Gaming about one year ago? How has it been and what differences has it made? Rampy: Yes I left NobleGG about June 2018, joining this team has helped me grow as a player and I couldn't thank my teammates enough for helping me through my hardships. NobleGG at the time had a completely different style to when I joined SSG, so I had to change my play style, my comms, etc. ESIX: For the past few months there have been quite a few roster changes with the latest being Bosco replacing Bryan. Why did you make that decision? Rampy: So with the roster change of picking up Bosco it was a team decision since at that time we were looking for an entry fragger and Bryan came from Rogue as a support/flank watcher so putting him on entry frag was definitely different for him. We loved Bryan honestly, he is a terrific player and teammate just the entrying role wasn't fit for his playstyle. At the time when Obey was relegated we knew Bosco was looking for a new team we thought he would be the perfect fit for the entry role that we needed. ESIX: You have consistently done pretty good in competitions but never reached the top, how are you preparing for the Six Invitational and what are your goals? Rampy: This team is definitely known for only being "Top 4" and never making that final step to "Top 2". At recent events such as DreamHack Winter and United States Nationals we have made it to the Semi Finals which is definitely an improvement from where this team originally started where they wouldn't make it past groups. We still have plenty to work on and we plan to put double or even triple the hours to make sure we are fully prepared for the Six Invitational and our goals are to obviously win Invitational like everyone else’s. ESIX: You will be facing a team that you know pretty well during the group phases, Rogue, what is the plan to defeat them? Rampy: Rogue has always been a thorn in our side whenever we match up against them. I think in our last match if we were to shutdown VertcL it would have been a different game. ESIX: How much do you know about Team Empire and Immortals that are also in group C and how do you prepare to beat them? Rampy: So with the rest of our group we actually played Team Empire at DreamHack Winter in our 3rd place match. The timing was unreal just because we lost to Penta and we were all heartbroken while we played them and we would eventually lose to them 2-1. I think if we didn't have to play a match directly after a huge loss that match would also have had a different outcome. We understood why we lost and our mistakes so we will be sure to not make those same mistakes in our next matchup. So with Immortals there's not a whole lot I can say about them since we've never gotten to play them we've watched their matches and that's pretty much it. 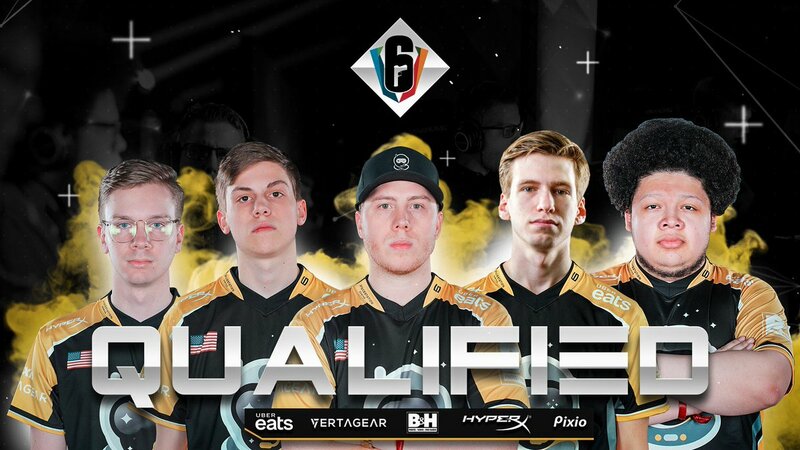 They made it to a Pro League final so they definitely are a good team and we definitely won't overlook them. ESIX: Who do you think will make it past group phases? Rampy: My predictions for groups are: Group A Faze and Reciprocity, Group B Spacestation Gaming and Team Empire, Group C G2 and Team Liquid, Group D Lestream Esports and Evil Geniuses. ESIX: Any last words for the Rainbow Six community and your fans? Rampy: To our fans, I know this first half of the season was definitely disappointing but we really love you guys for all of the support! We plan on fixing all of our problems before Invitationals and continue improving into Pro League. Thank you guys for everything!